Andrea, informally known as “Ang”, graduated from ORU with a Bachelor’s in Communication and concentration in Business. While Andrea and her husband, Jon, are both originally from the Northeast, they currently reside here in Tulsa. While Andrea pursues her Masters of Divinity, Jon is pursuing his CPA. They both enjoy exploring new cities, reading, house remodeling, and playing with their dog, Nugget. 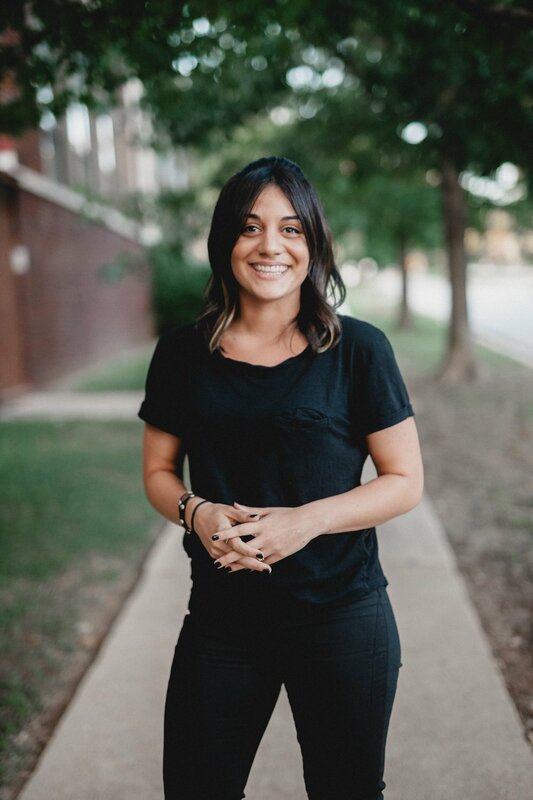 A Tulsa transplant but green-chile-loving New Mexican at heart, Elaine graduated from ORU with her Bachelor of Science degree in International Community Development. In between pursuing an MBA in Leadership and tackling home renovation projects, she takes great delight in caring for her garden, cooking with friends and family, and gathering community together. Elaine loves putting her education and experience to work in her passionate pursuit of meeting the practical needs of others in order to open the door to meeting spiritual needs. From the great city of Pittsburgh, P.A., Sam now resides in Tulsa, OK after receiving his Bachelors degree in Biblical Literature from Oral Roberts University. He enjoys hiking, camping, fishing, and being in the “great outdoors.” If you can’t find him outside, you may want to check a local coffee shop or bookstore where he’ll either be reading his next favorite book or spending quality time with his friends and family. Sam is passionate about seeing Kingdom-leaders developed to take the Gospel of Jesus Christ around the world, and is excited to join what God is doing to raise up the next generation of leaders through ORU Missions & Outreach. In addition to our full time staff, we also have 31 student interns that serve throughout the academic year to make our weekly outreaches and missions trips possible.